This is a new section in my blog. I get obssesed with songs…A LOT, sometimes I have my Ipod on shuffle mode and suddenly a song pops up and I find it so great I can not help but to play it over and over again. IPOD SHUFFLE MODE is going to be about those songs. Right now I am all about Round and Round by T-ara, It is so adorable!!!! Its a remake from an 80s track , but even if i did not tell you, I guess you could just feel it! 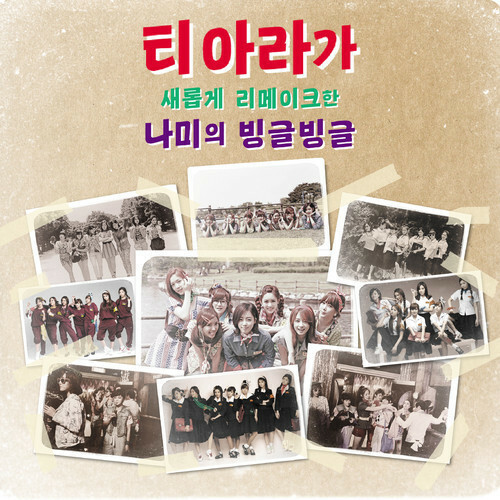 The song belongs to the project album called ‘Sonata 2012: 33 Songs Selected by T-ara – High School Days‘.